Synopsis- Brooke Kingston is smart, capable and strongwilled – some might even say stubborn – and lives in the beautiful Hunter Valley on her family property. More at home on horseback than in heels, her life revolves around her beloved ‘boys’ – showjumpers Poddy, Oddy and Sod. What she doesn’t expect is Lachie himself – a handsome, gentle giant with a will to match her own. But with every day that Lachie stays, Brooke’s future on the farm is more uncertain. Will she be forced to choose between her home and the man she’s falling for? Review- Brooke Kingston thrives on her family’s property in the Hunter Valley surrounded by the strong beautiful horses that are her passion. But when a serious accident interferes with Brooke’s ability to fulfil her duties on the farm she loves to run, her family place pressure on her to move back to Sydney with them and seek professional help. Brooke is strong-willed and determined to overcome her anxiety and phobias that have overwhelmed her since the accident to pursue her dream of continuing to run the farm. In particular, her older brother Mark is really hard on her and ends up convincing the family to hire a manager to take over the farm. Brooke is crushed by this and her family who are trying to help her inadvertently make her more depressed by their decision. She refuses to move to Sydney and so moves out of her cottage in preparation for the manager and into a small barn on the property, determined to continue working with her horses. Lachlan (Lachie) Cambridge arrives at Kingston Downs hoping for a new start, to save up money, to learn new skills with the dreams of hopefully taking over his family farm one day. A long-standing feud with his father keeps him at bay. The last thing he expects when he accepts the job is to be sharing the property with the smart, attractive young Brooke who is also an emotional mess. Recovering from a broken-heart, the last thing Lachie wants is to get involved with another woman. But the attraction between them from the outset is clear and Lachie offers his gentle, non-judgemental support to Brooke to help overcome her fears. They are both confused by their feelings for each other and the dilemma that this brings. If Brooke recovers then Lachie will be out of a job and in turn Brooke will lose the one person who has been there for her unconditionally. Brooke and Lachie both have vulnerabilities and strengths and a strong connection to the land and it is this drive that brings them together and ultimately may drive them apart. I really enjoyed learning about each of these characters and loved how they complimented each other. Brooke’s fears were very real and at times moving. I could understand her resistance to professional help and how Lachie in many ways becomes quite therapeutic for her, scaffolding her slow recovery. Brooke’s passion for her horses also really stands out for me and there are many ups and downs throughout the story where I felt quite empathic for her. When it begins to feel like her life is falling apart and she is all alone, Lachie comes along and helps her find her way again. 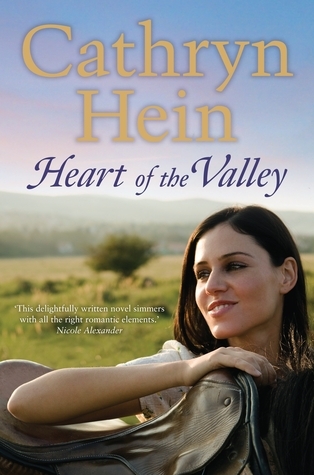 The Heart of the Valley is quite a moving love story about passionate, strong characters who are vulnerable in their own ways. A lovely addition to the rural romance genre in Australia. 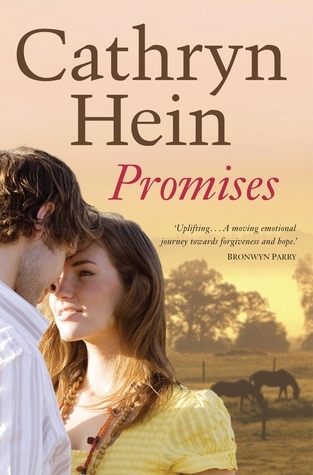 I will definitely be checking out Cathryn Hein’s first novel, Promises. 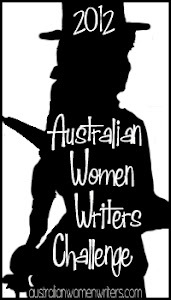 About the author: Cathryn Hein was born in South Australia’s rural south-east. With three generations of jockeys in the family it was little wonder she grew up horse mad, finally obtaining her first horse at age 10. So began years of pony club, eventing, dressage and showjumping until university beckoned. Thanks Jenny, I’ll have to get myself a copy as I really enjoyed Cathryn’s writing style. I just wrote my review for this one last night but it won’t be up for a week or so because I’ve got a bit of a backlog to post! 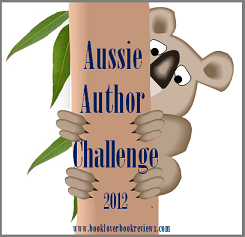 I really enjoyed this – I loved both Lachie, Brooke and their journey was great to read. Like you I’ll certainly be tracking down the author’s other novel! I hear ya, i have a backlog too! Lachie and Brooke were lovely characters to watch grow and i’m glad you enjoyed this story too.